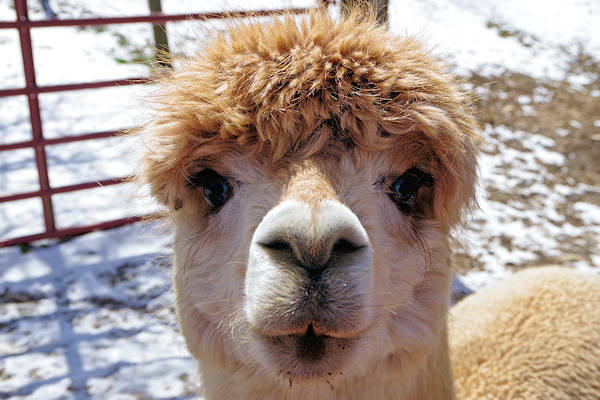 Located high in the Blue Ridge Mountains near Banner Elk, Apple Hill Farm gives guided tours for you to meet their interesting combination of animals including alpacas, llamas and angora goats. 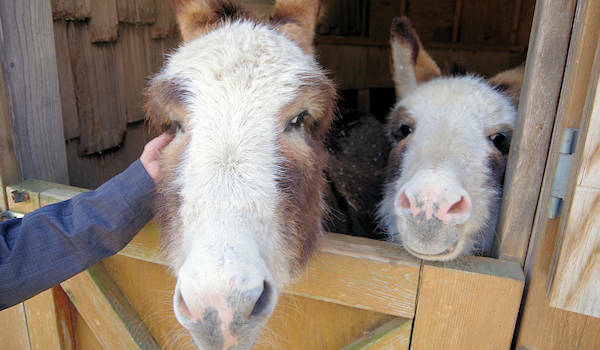 Also meet guardian donkeys, dogs and Mr. Pickles the mini pig. Browse their store. 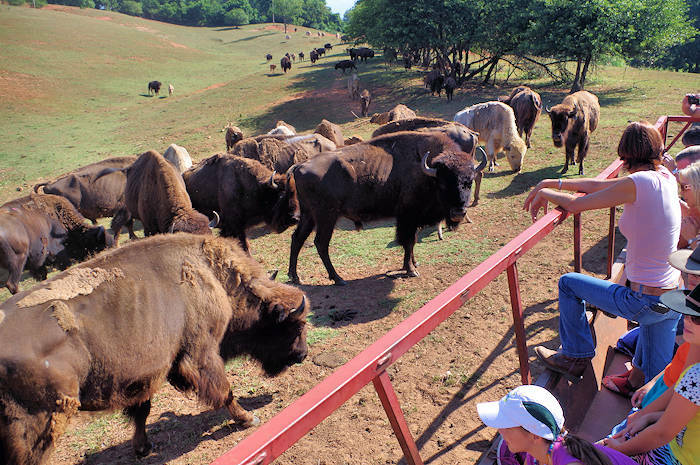 They are a working farm, but they have expanded their parking area and hours to welcome thousands of visitors in 2018. While you can visit the store with no appointment, you'll need to join a tour to walk around the farm and say hello to all the residents. Most of them love to meet visitors and receive a little loving. The tour is usually 45-60 minutes (short walking distance), depending on the group and weather. Who doesn't love a little scratch? We agree with their slogan "A Place Where Animals Talk and People Listen." Each animal has a fascinating story and important purpose. 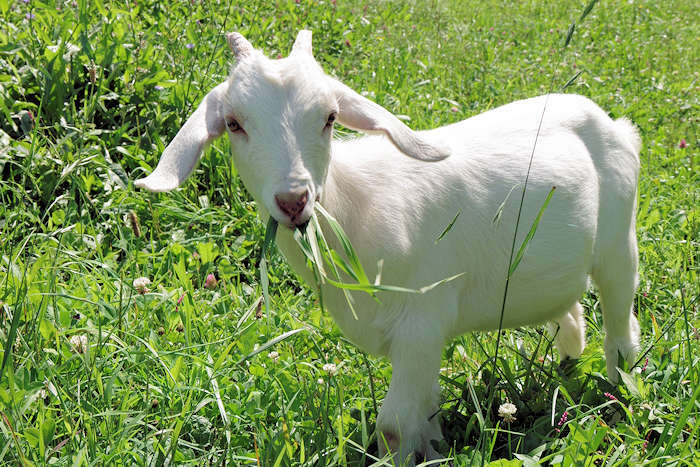 The farm's mission is to inspire a deep connection between animals and people. 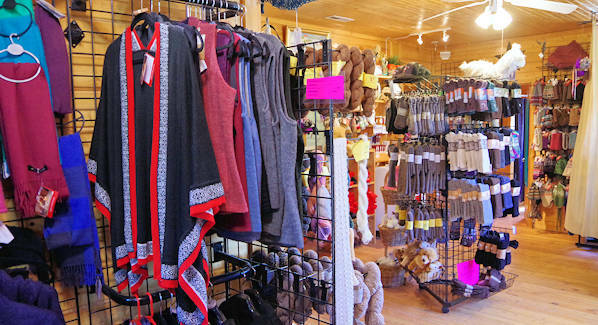 The store tucked away on the second floor of the barn is packed with everything alpaca! 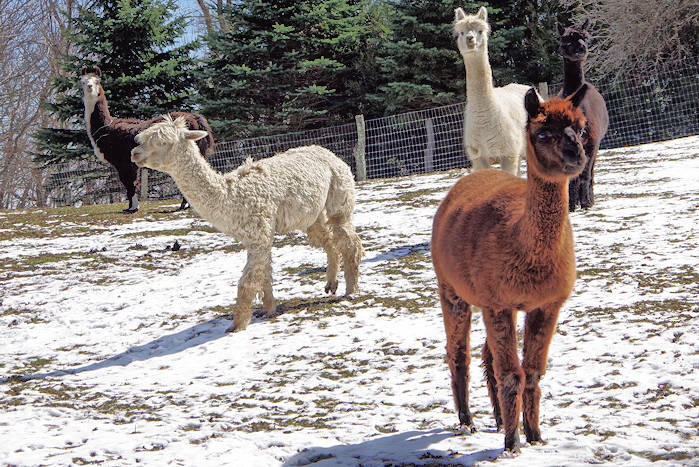 Since alpaca fiber is both soft and durable, it is perfect for top quality socks, hats, gloves, and more. 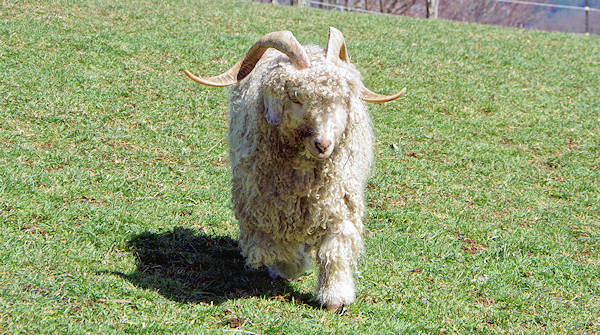 Also find a big selection of alpaca, llama, mohair, and cotton yarns. Some of their other farm products include fresh eggs and honey. You can even buy yarn from their individual alpacas (look for names on the tags)! They shear the fiber off once a year, usually in June. Since it's a working farm, you cannot roam the farm on your own. No picnics or pets. While they have some apple trees, they are not an apple farm. Hours are weather permitting. Since they are above 4,000 elevation, they see a good bit of snow and ice. So call ahead if weather is bad. Temperatures are usually about 10 degrees cooler than Asheville. From the corner of NC 184 & NC 194 in Banner Elk, follow NC 194N towards Valle Crucis. Go 3.7 miles to Oliver Hill Rd. Turn left. Go 0.8 of a mile to Bladen Rd. Turn right. Go 0.2 of a mile to Apple Hill Road. Turn left. Go 0.3 of a mile to farm. 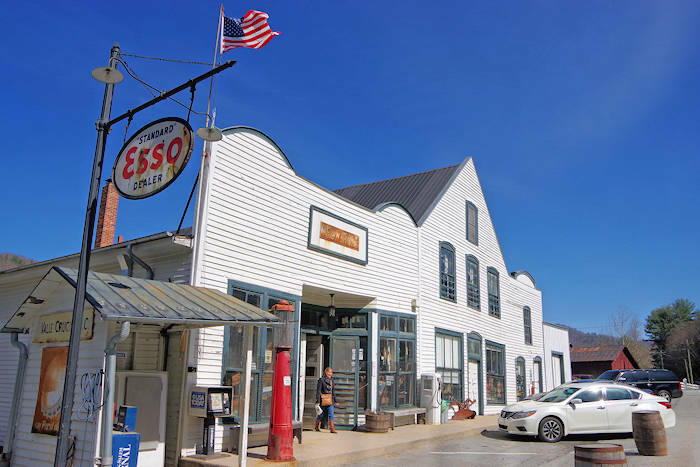 Mast General Store's original location is just 5.3 miles away in Valle Crucis. Read more. Banner Elk is 5 miles. See things to do. 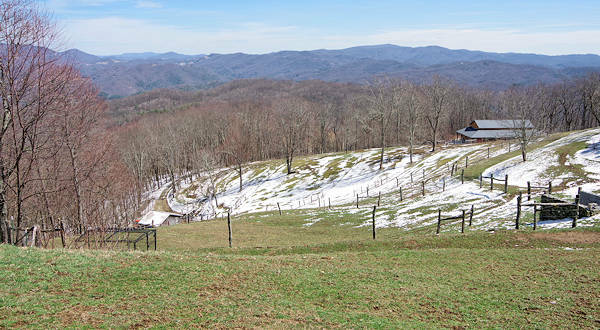 Beech Mountain is 9 miles away, a playland for winter skiing and summer sports. See things to do. 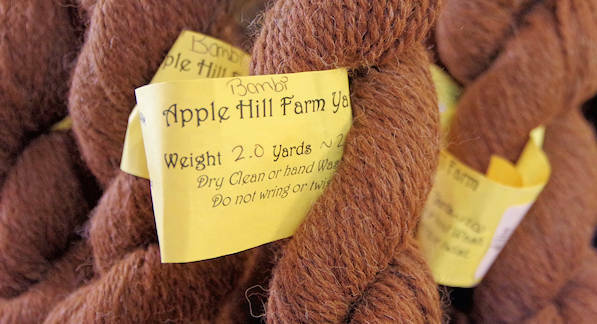 Go to the Banner Elk web site to read more about Apple Hill Farm.